From the wise and mysterious soothsayer, thoughtfully stroking a long gray beard, to the deathless necromancer practicing dark magic in a forgotten dungeon, wizards have captured our imaginations since the earliest days of human storytelling, presenting us with both heroes and villains. 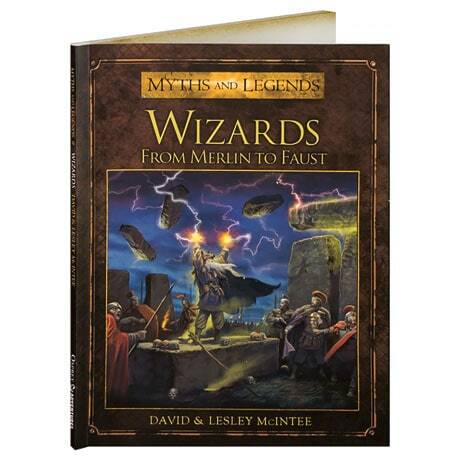 This book collects the tales of the most interesting and significant spell-casters from history, including legendary figures like Merlin, Simon Magus, Koschei the Deathless, Nicolas Flamel, John Dee, and Johann Georg Faust, evoking their drama, tragedy, and wonder. The book, for readers 12 to adult, is beautifully illustrated with paintings, engravings, film stills, and other images from many versions and interpretations of the tale.